Here it comes, the World Habitat Day when Habitat for Humanity joins our partners to recall ourselves the mission toward a world where everyone has decent place to live. As annually celebrated on the first Monday of October, World Habitat Day aims to raise awareness, educate and mobilize individuals and communities to take action toward ending poverty housing. 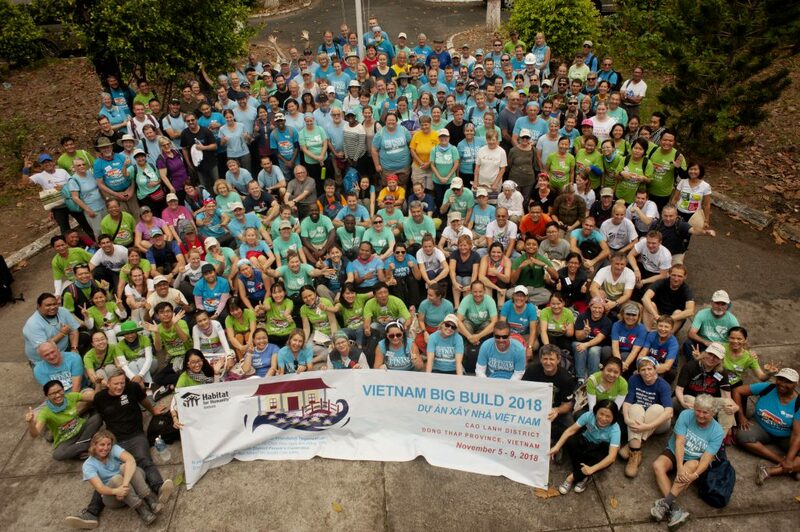 The date of October 6 is an exciting day for Habitat for Humanity Vietnam (HFH Vietnam) as we are honored to rejoice the World Habitat Day not only within the team, but also with our local partners in Quang Nam Central Vietnam while launching a project in Tien Phuoc district a new project site. Shaped like an elongated S, the complexity of Vietnam’s topography makes it susceptible to natural disasters such as typhoon, floods, droughts and landslides. Amongst vulnerable provinces exposed to risks from such hazards, Quang Nam’s coastal communities have been regularly devastated by severe typhoons and storms resulting in major loss of human life and property. Therefore, as one of the imperative goals of HFHV to enhance community’s resiliency to prepare for and mitigate against natural calamities in the central region, HFH Vietnam cheerfully kicks off our first project in Tien Phuoc district called “Safe community in disaster-prone Quang Nam”. The poverty rate of Tien Phuoc is 17 percent, out of its population of 75,001. The number of households living in substandard housing is nearly 450 while most of the households still use well water or spring water. “Tien Phuoc has been working with World Vision to improve the well-being and socio-economic of the natives; nevertheless, the project will be terminated by September 2014 while the number of families in need is prodigious. 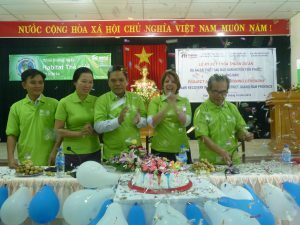 The partnership with HFH Vietnam is an opportunity coming timely to continuously uplift Tien Phuoc out of poverty,” shared Mr Nguyen Ba, Chairman of Tien Phuoc district Red Cross. The project’s main goal is to improve community health and security in disaster prone Tien Phuoc by providing the community with access to safe homes and building their capacity to cope with natural disasters. We aim to serve 56 families with houses renovated, new full houses and water and sanitation facilities; provide them with trainings on disaster resilient construction techniques, financial literacy, community-based disaster risk management (CBDRM) and water and sanitation and hygiene; and support to build up community’s capacity and awareness in disaster risk preparedness and mitigation for broader communities. 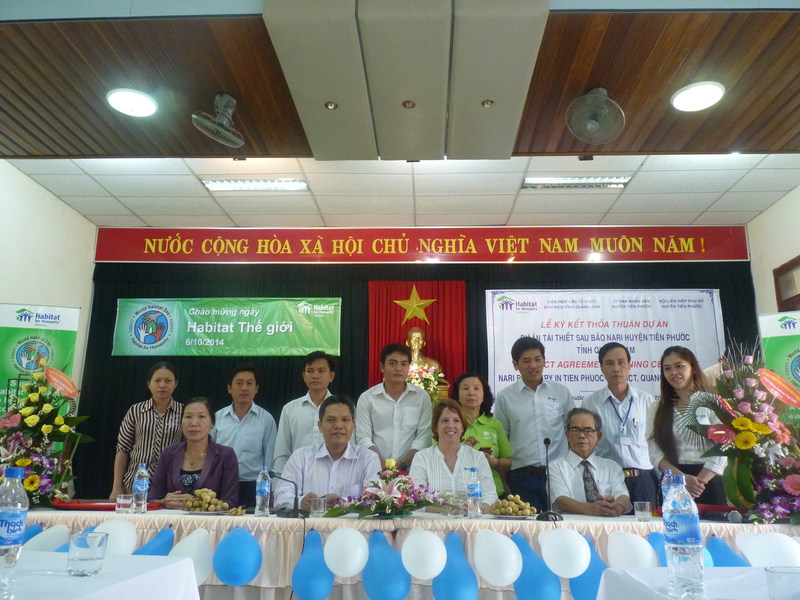 With the support of the local partners, HFH Vietnam believes we will achieve this goal resulting in the community members’ feeling of increased security from the natural hazards. 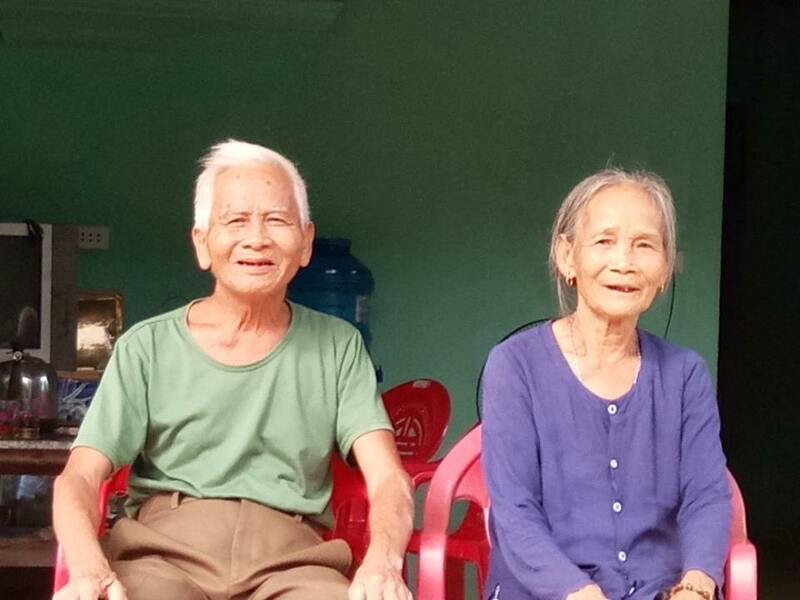 The family of Le Hoang is living in Cam Lanh village, Tien Cam commune, Tien Phuoc district in Quang Nam province. It is a family of three including Hoang, his wife and his three-year-old daughter, and they will welcome one more member this month when Hoang’s wife will give birth to a baby boy. His family has been living in the deteriorated house which consists of wooden columns, corrugated iron sheets and untreated wood for 2 years. Hoang and his wife are inured to the scenario of roofing sheets blown off by strong winds in typhoon season, yet it is harrowing for their daughter who has mental impairment. They then have to shelter at their parent’s home. Additionally, the suffocating heat and the smell of the iron roofing sheets make it discomfort and agitated for the girl. “I hope our family will be a home-partner of this project so we can have a resilient home to shelter from typhoon or storm”, said Hoang. “The community members are very exciting about the project,” shared zealously Ms Tran Thi Dieu Hong, Chairwoman of Tien Phuoc Women’s Union, “A Government policy named Decree 167 used to be enforced to support 2,223 households to improve housing; however, the program was finished in 2012. 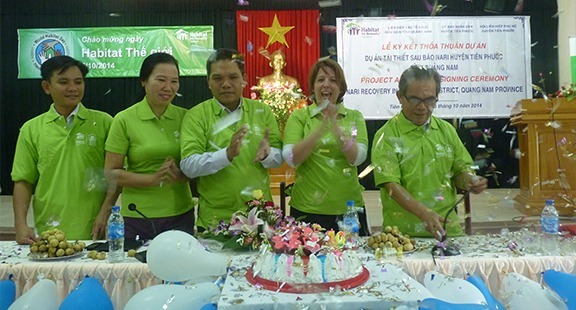 The support of HFH Vietnam will enable more families to access to adequate shelter”. There are nearly 6.7 million Vietnamese people living in substandard housing, and they are just a handful of the 1.6 billion people around the world living in undignified housing. Habitat for Humanity believes that this is socially, politically and morally unacceptable. We want to see a world where everyone has a decent place to live, and so, on World Habitat Day, we call for programs, policies and systems that would make that world possible. But we are not able to achieve this alone. Our mission statement calls for us to bring people together to build homes, communities and hope. We need the joint efforts of business, community leaders, governments, volunteers and other organizations to end poverty housing. The project that we launch together today is a good demonstration of that collaboration. Hello,I read your blog named “World Habitat Day | Habitat for Humanity Vietnam” like every week.Your story-telling style is awesome, keep up the good work! And you can look our website about تحميل اغانى. 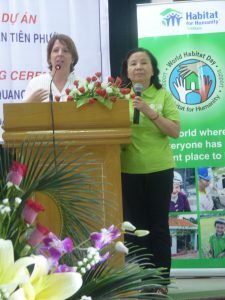 Hi there,I log on to your blog named “World Habitat Day | Habitat for Humanity Vietnam” daily.Your writing style is awesome, keep up the good work! And you can look our website about how to plan a small wedding http://www.wedding0venues.tk/.